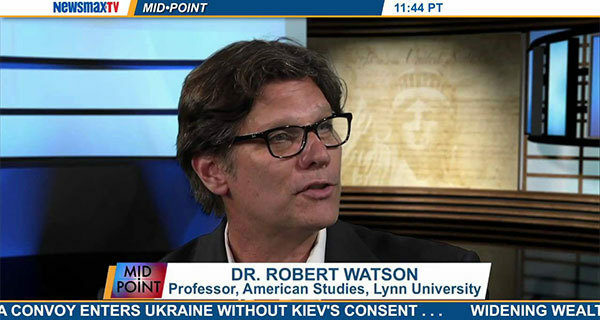 Robert Watson is an award-winning author, professor, historian, and analyst for numerous media outlets. He has published three dozen books on history and politics, five works of fiction, and hundreds of scholarly journal articles, book chapters, and reference essays. He also serves as the series editor for the long-running scholarly book anthology on the American presidency published by the State University of New York and as the editor of two popular encyclopedia sets – The American Presidents and American First Ladies – which are currently in their fourth and third editions, respectively. Watson has been the editor or a board member for several scholarly journals, has served on the boards of local non-profit organizations as well as the Harry Truman Foundation, the Calvin Coolidge Memorial Foundation, and George McGovern Library and Center for Public Service, co-convened a half-dozen national conferences on the American presidency, and was the co-founder of the annual Truman Legacy Symposium which is held at the Harry S. Truman Little White House and sponsored by the Truman Presidential Library. 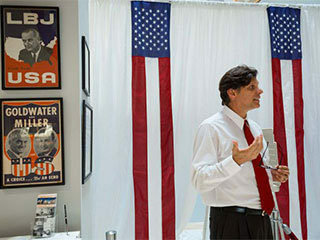 As an analyst, he has been interviewed thousands of times by media outlets including CNN, MSNBC, Fox News, USA Today, The New York Times, NPR, and the BBC, and has appeared on Hardball with Chris Matthews, The Daily Show with Jon Stewart, C-SPAN, Book TV, The Washington Journal, Voice of America, and the debut program for American History TV. He has also served as the political analyst for ABC Radio in Australia, RTE One Public Radio in Ireland, WIOD 610 AM in Florida, and WPTV 5 NBC in Florida, and was a long-time Sunday columnist for the Sun-Sentinel newspaper. Watson has served as a visiting scholar with many organizations including the Truman Presidential Library, Gerald Ford Presidential Museum, Illinois Holocaust Museum, and the US Military Academy at West Point, and has received a number of awards for his community service, contributions to the study of the presidency, the civic and history programs he offers schools, and teaching excellence, including several “Professor of the Year” awards. Born in Harrisburg, Pennsylvania, Watson attended public schools in nearby Hershey, and was educated at Virginia Tech, where he was a member of the football and track teams. Robert and his wife, Claudia, reside in Boca Raton with their children, Alessandro and Isabella. 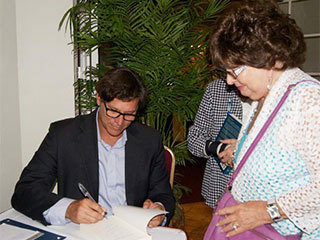 Watson is Professor of American Studies at Lynn University and Senior Fellow at the Florida Joint Center for Citizenship.